Add the garlic and onions. Cook until onions are translucent. Add the tomatoes and tomato paste. Cook for 15 minutes. Adjust the seasoning. Use a ladle or spoon to make a hole. Crack the egg in the hole. Cook the egg over low heat for about 10 minutes or until it is well-cooked. Sprinkle the chopped parsley. Remove from heat. 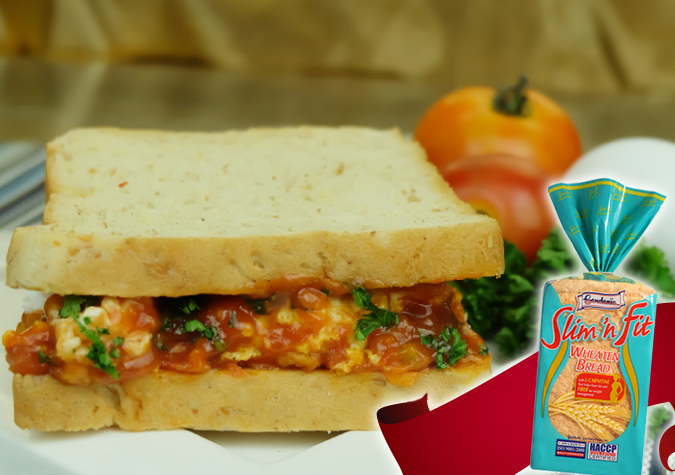 For the sandwich, place the tomato mixture on one side. Cover with another slice of bread. Serve and enjoy.